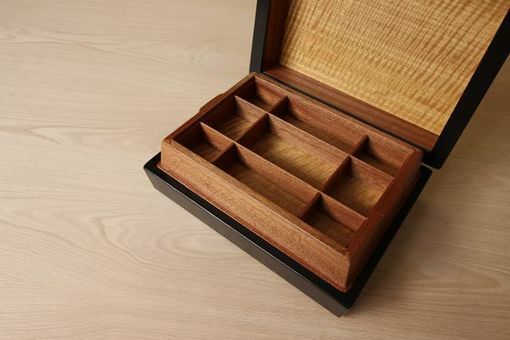 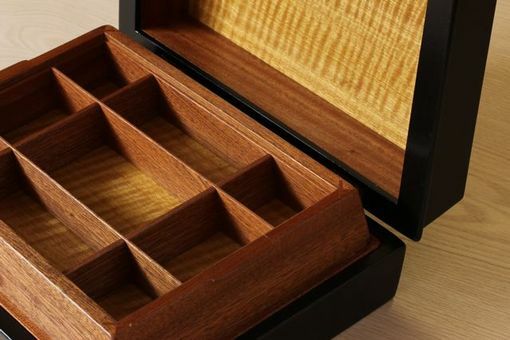 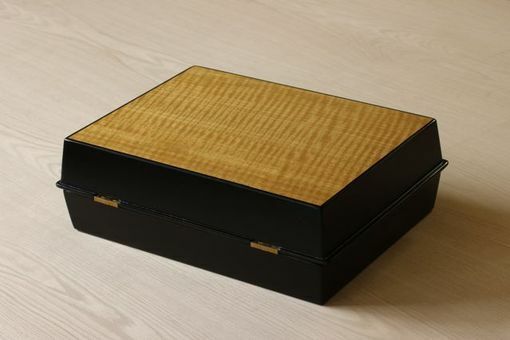 Jewelry box features an African satinwood top, with ebony accents and solid sapele sides. 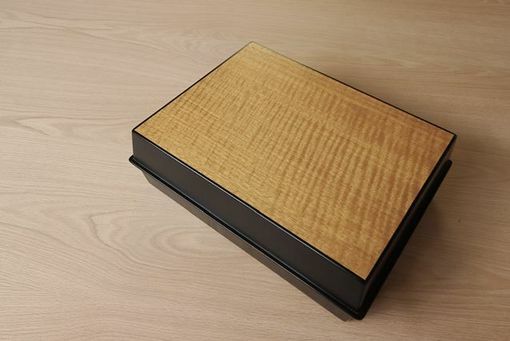 Ebonized sapele is used on the outside of the box--inside is finished natural. 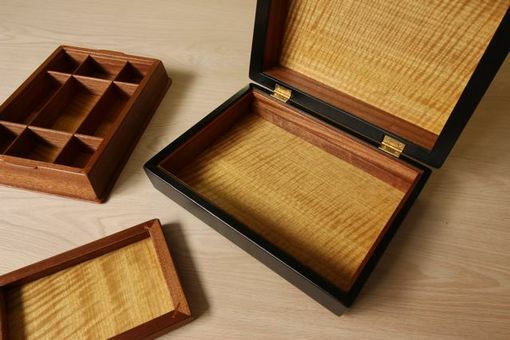 Lift out trays.